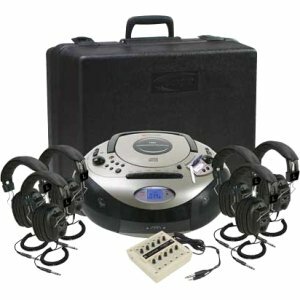 The 6-person Spirit SD Learning Center offers outstanding stereo sound in a portable system. With its built-in SD card slot and USB port, it's made to work with the latest formats as well as the teacher-tested CD player, cassette recorder / player, & AM-FM radio. It's ideal for group or individual reading activities, literacy, ELD, ESL, and other language learning programs.